It’s a festive day for a double wedding and everyone in West Buzzard’s Bottom turns out for the celebration. Well, almost everyone. A disinfected One-Eyed Rat Saloon is transformed into a court of law. Zachariah Leech, sole owner and operator of the Buzzard’s Bottom Gazette serves as judge and attempts to get to the bottom of what’s been going on for the last 12 episodes. Both Ruby and the Marshall independently stumble their way onto Captain Grabbeebee’s Floating Circus Barge. Will entry into the big show provide something more than entertainment? Like maybe some answers? Episode 10 - The End – or Is It? Marshall Shiloh Brown escapes his re-confinement as Ruby Buckaroo travels into a goldmine for some clues. The pursuer is pursued as Marshall Shiloh Brown is chased by the entire town of West Buzzard’s Bottom, with Ruby Buckaroo leveling very serious charges indeed. A jailbreaking Marshall Shiloh Brown happens upon three rodeo champions, the Saddle Up Sisters, and realizes he has essentially tripled the amount of hot water he is in. Episode 7 - Rightly Wrong or Wrongly Right? Sheriff Huck Buckskin dumps Marshall Brown into the fearsome jaws of justice as a heartbroken Ruby Buckaroo teeters on the edge of the great beyond. Ruby Buckaroo, The Bandit Queen of the Cowboys, finds herself powerless to break free from the mighty grip of Hoofbeats in Her Heart – for now. A captured Ruby Buckaroo takes to the dance floor of the Clem W. M’Dew School House and Horse Barn, forming an awkward love-triangle with her arresting officer, Marshall Shiloh Brown, and her very jealous ex-suitor Sheriff Huck Buckskin. Marshall Brown is sufficiently recovered from the stampeding Hoofbeats in His heart to form a posse. His hunt for Ruby Buckaroo is impeded by the stampeding hoofbeats of an actual herd of cattle. As Ruby Buckaroo is captured by Marshall Shiloh Brown, he succumbs to an inconvenient and severe case of Hoofbeats in His Heart. 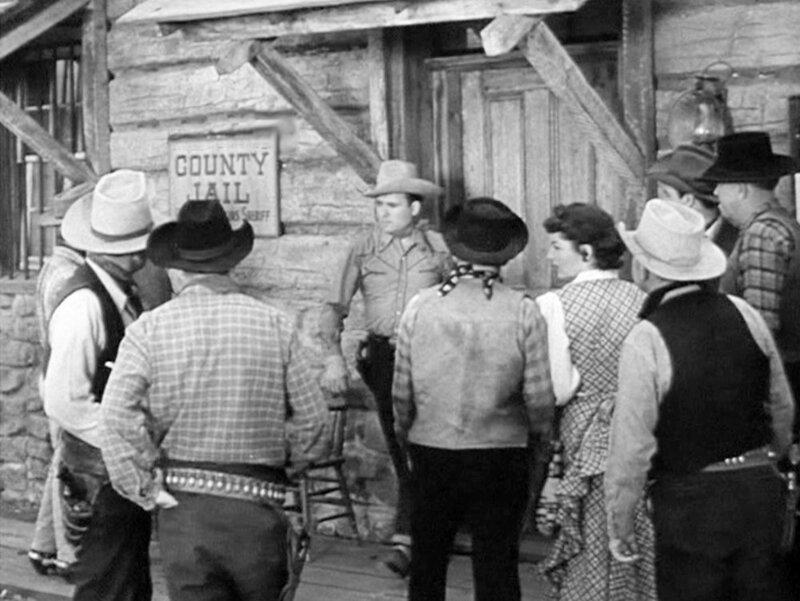 The Marshall presents a warrant calling for the immediate arrest of Ruby Buckaroo. But the entire town of West Buzzard’s Bottom sees it a little differently. Marshall Shiloh Brown enters the town of West Buzzard's Bottom in hot pursuit of Ruby Buckaroo, The Bandit Queen of the Cowboys.